This recipe is the partner to the Bananas Foster milkshake recipe I developed for the magazine Where Women Cook, and you’ll find that recipe in the Spring 2011 issue which came out last week. 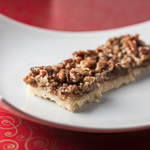 You can make the Bananas Foster milkshake with purchased pralines or even plain candied pecans, but in case you are itching to try your hand at making candy, these are a fun way to start. 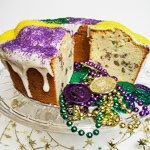 I borrowed Shirley Corriher’s technique because the woman knows her stuff, but I use cream and bourbon in mine because they go together so well. I’m delighted to be in the Spring 2011 issue of Where Women Cook and featured on their website this week. If you haven’t seen the magazine yet, it’s definitely worth checking out and I’m honored that they wanted to include me. This week I’ll be at their site, Amuse Bouche, sharing stories, tips, photos, and of course another recipe. I want to share Where Women Cook with you, and I’m offering a one-year subscription to one lucky reader. To enter the giveaway, just visit my Facebook fan page and click the Like button. Anyone who “likes” my Facebook fan page is entered in the giveaway. The magazine ships to U.S., Canadian, and international addresses. The giveaway closes at 8 P.M. EST on March 13, and Random.org will select the winner. Look for the announcement of the winner on the Facebook fan page soon after. Adapted from Cookwise, by Shirley O. Corriher. Preheat the oven to 350° F/175°C. Spread the pecans on the foil-lined baking sheet and roast until lightly browned and fragrant. Add 2 tablespoon unsalted butter and salt to the hot nuts and stir. Set aside to cool. In a heavy saucepan over low heat, melt the remaining 2 tablespoons butter. Stir in the granulated and brown sugar, granulated sugar, corn syrup, and heavy cream. Slowly bring to a boil over medium heat. Add the pecans and continue slowly boiling until the temperature reaches 242° F/117° C on the candy thermometer, or almost firm ball stage. 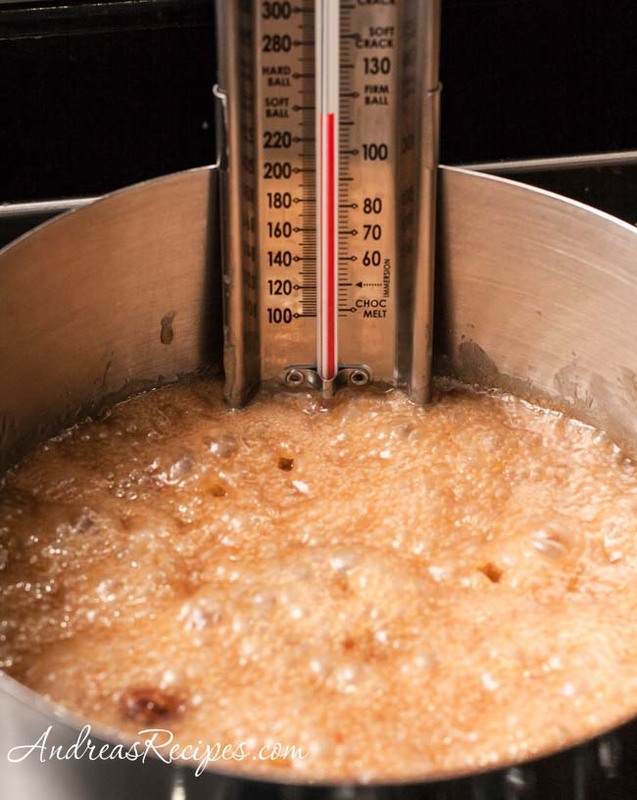 If you boil it too fast, the sugar grains don’t fully dissolve and the mixture won’t set properly. Remove from heat and quickly stir in the vanilla and bourbon using the heat-resistant silicone spatula. Continue stirring vigorously until the candy loses its glossiness, becomes creamy in appearance, and thickens, about 2 to 3 minutes. Don’t stir for too long or it will become grainy. Very quickly drop the candy mixture by tablespoons onto the baking sheet lined with a silicone mat, about 1 to 2 inches apart. Allow to cool completely. Store at room temperature wrapped in plastic. The bourbon should be a good one that you like, but does not have to be top shelf. The candy will keep for up to three days. 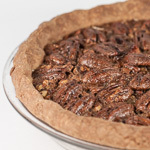 I love, love, love pecans… this looks amazing! These look beyond amazing. 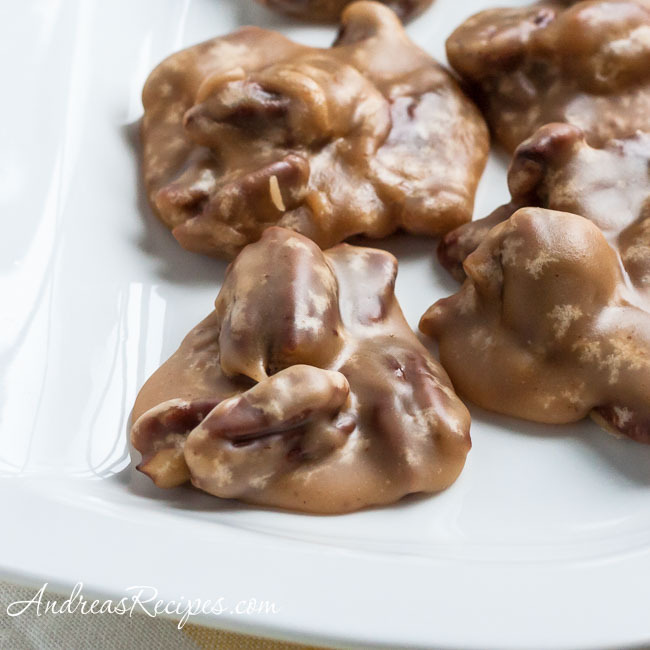 Pralines are such a glorious southern gem. Beautiful photos and great recipe! I’m going to need to make those, ASAP! Love that!!! !